As an employer, you want to make sure that you are able to protect yourself from competition. Aside from coming up with unique marketing plans, you can start ensuring that you avoid having competition by having your employees agree to a non-compete agreement. This agreement should be enforceable, valid, and ensure that it has fair and just terms and conditions. 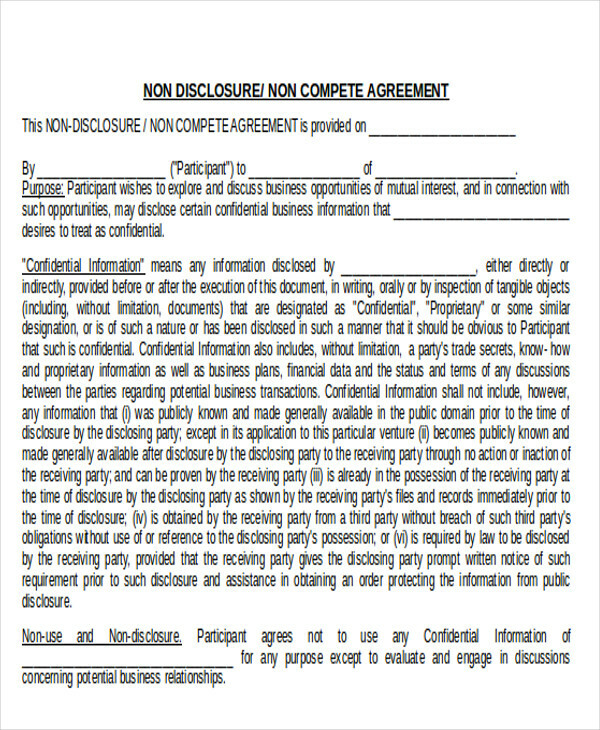 Nowadays, a non-compete agreement, alongside the non-disclosure agreement, are becoming more and more common. This is because businesses want to prevent any patent and intellectual property be disclosed and copied by potential competition. In this article, we would like to share with you a couple of useful information that would give you a wider understanding of non-compete agreements. 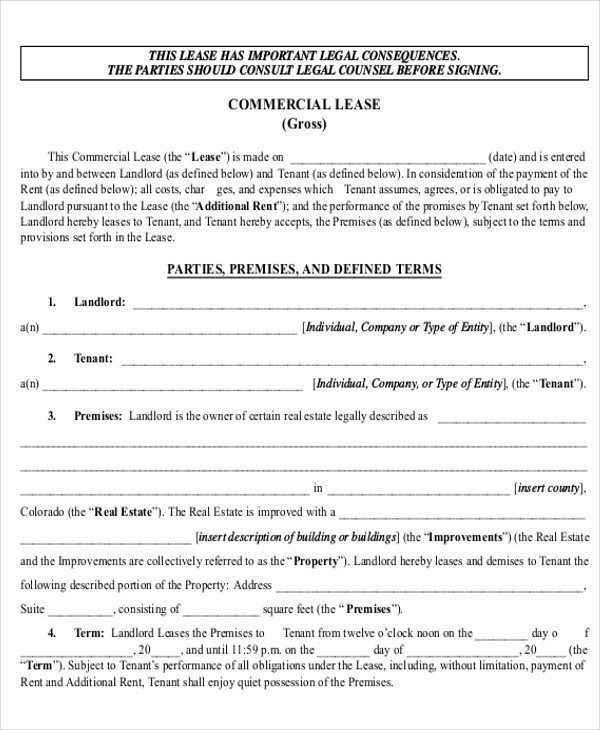 We would also like to share a few free agreement forms for non-competition that you can easily download on this very website. Keep reading to find out more! 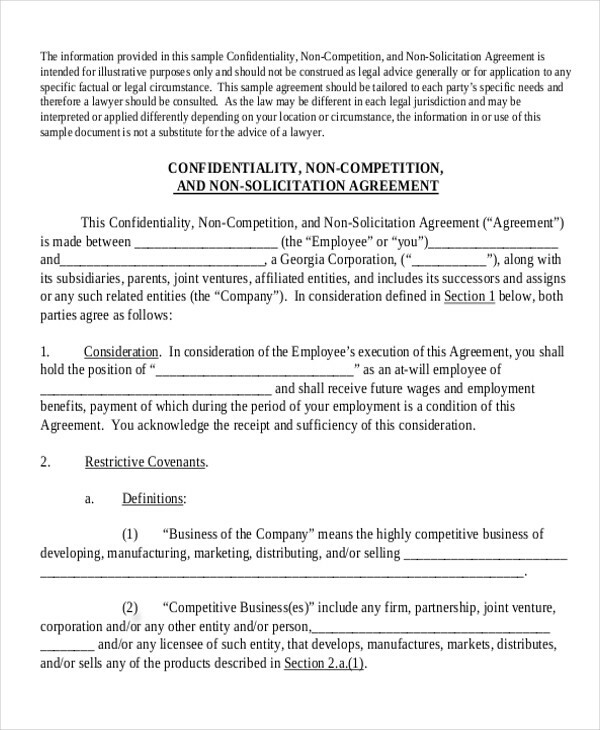 Non-compete agreements are used by employers to ensure that they are able to protect their company. This helps to avoid competition by having the employee agree to avoid working in a company in the same industry or to ensure that employees will not create a company or business of similar nature. This also helps employers to protect their trade secrets or other sensitive information such as marketing strategies, marketing plans, future products, as well as public relations. How Can Employees Benefit from Non-Compete Agreements? 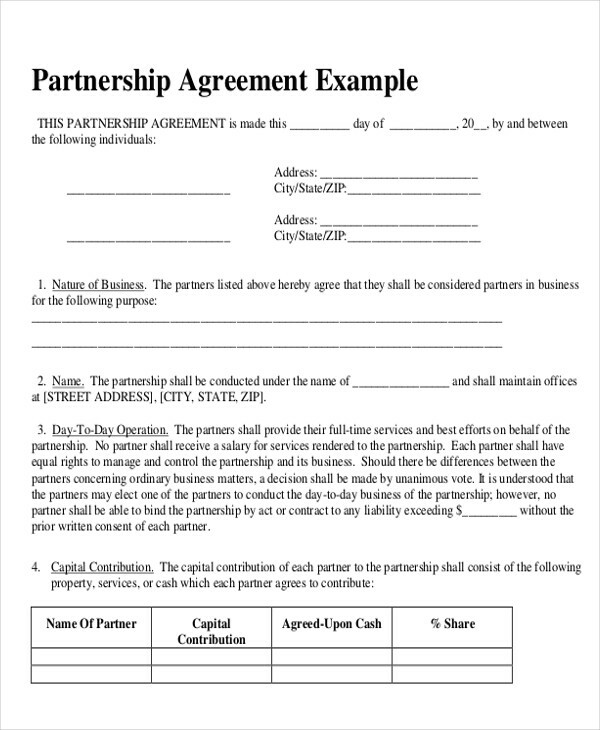 Employees are often asked to sign a non-compete agreement for something of value in return. In most cases, it is the job itself as they are offered stability and a better career path. They may also be given a raise in salary or a promotion. This way, an employee gets to see himself/herself as a valuable asset in the company which can help boost employee morale and increase productivity. A non-compete agreement typically lasts from around six months to two years. 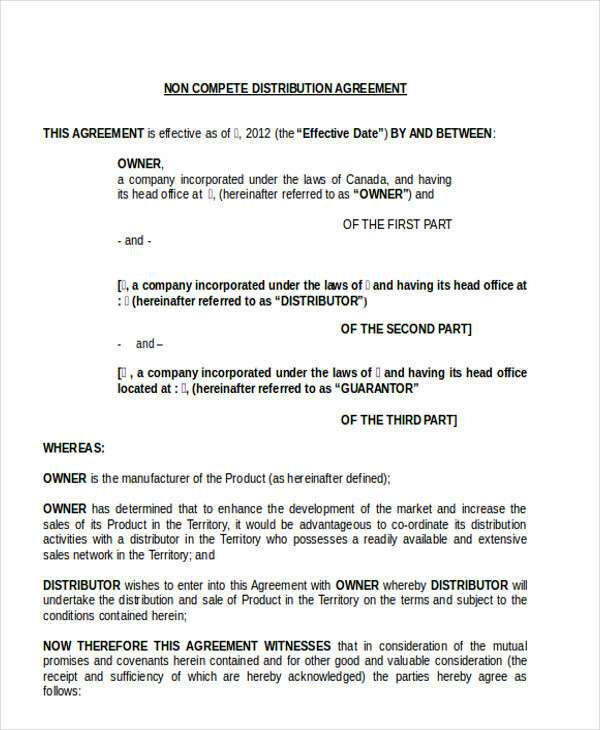 The duration for a non-compete agreement will vary from company to company. However, a company should make sure to seek legal counsel to ensure that they are enforcing a realistic amount of time as a company cannot withhold an employee’s want to further his/her career path in the same field. 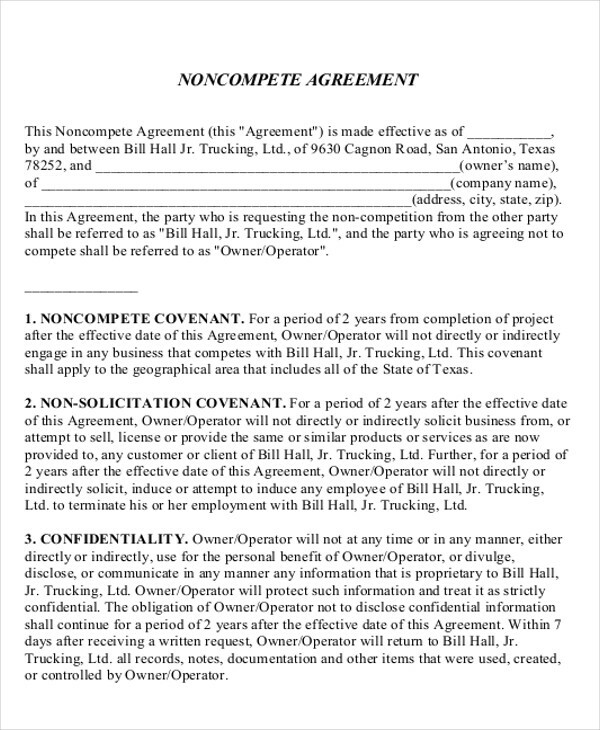 What Is Covered by a Non-Compete Agreement? 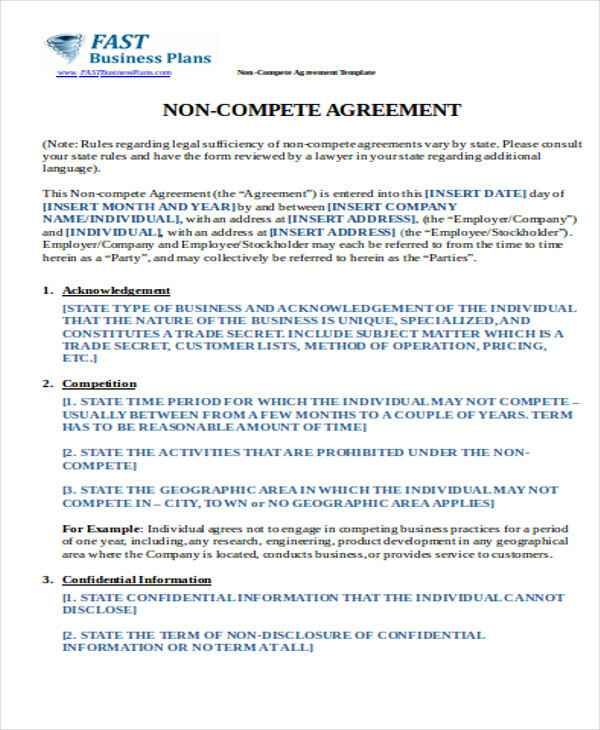 You can check out sample word non-compete agreements for easy to edit non-compete agreement templates. What Makes Non-Compete Agreements Reasonable? 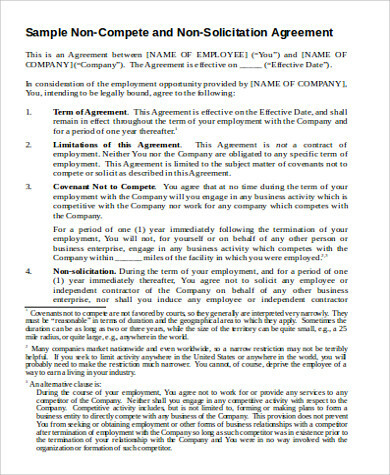 Does the employer have good reason to enforce the non-compete agreement? Are there any geographical limitations included? Will the limitations limit the employee’s ability to look for another job? How long is the agreement enforceable? 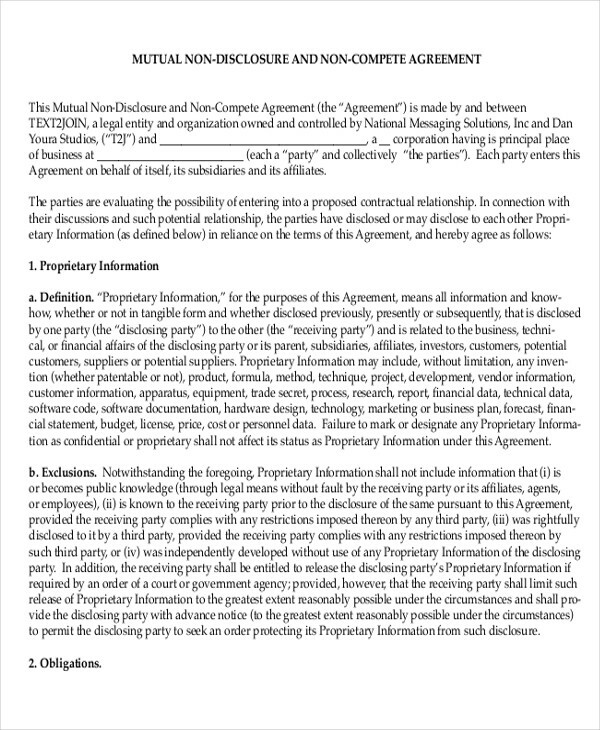 Is the employee getting something in return for agreeing to the non-compete agreement? Employers should make sure that they seek the help of a state attorney to ensure that the agreement they want to enforce upon their employees are reasonable as well as fair to both parties. Oftentimes, new hires are more likely to be asked to sign an HR agreement than those who are currently employed in the company. Whether an employee decides to sign it or not all depends on their discretion on how much they want or need the job. 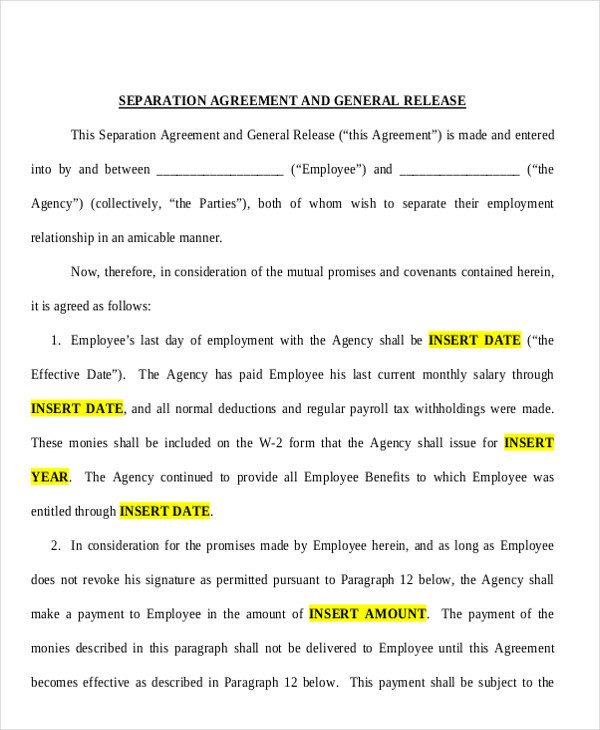 Once the agreement has been signed, the employee is now legally bound to the agreement and any violation against it will have corresponding consequences. Closely reviewing the clauses included in the agreement should be done in order to make sure that everything that is stated in the agreement is fair and just. What Happens When Non-Compete Agreements Are Violated? 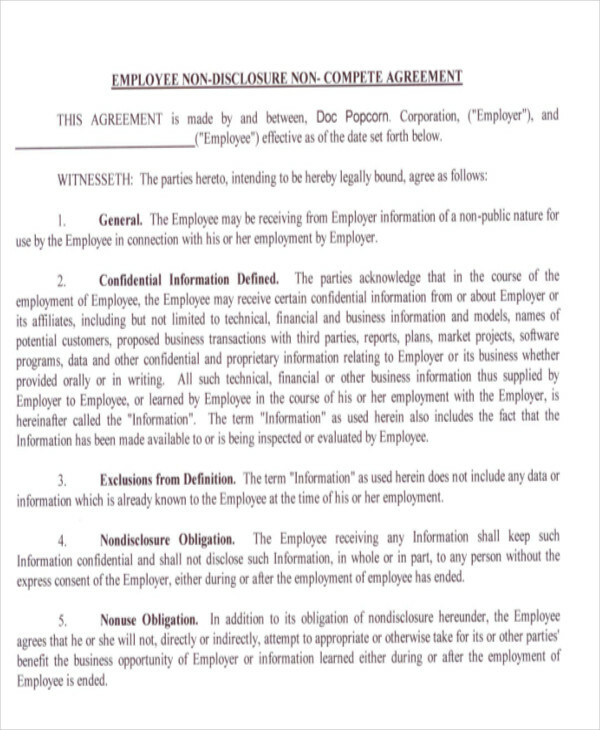 When an employee chooses to leave a job that has a non-compete agreement and decides to not follow it, the employer may or may not do anything about it. 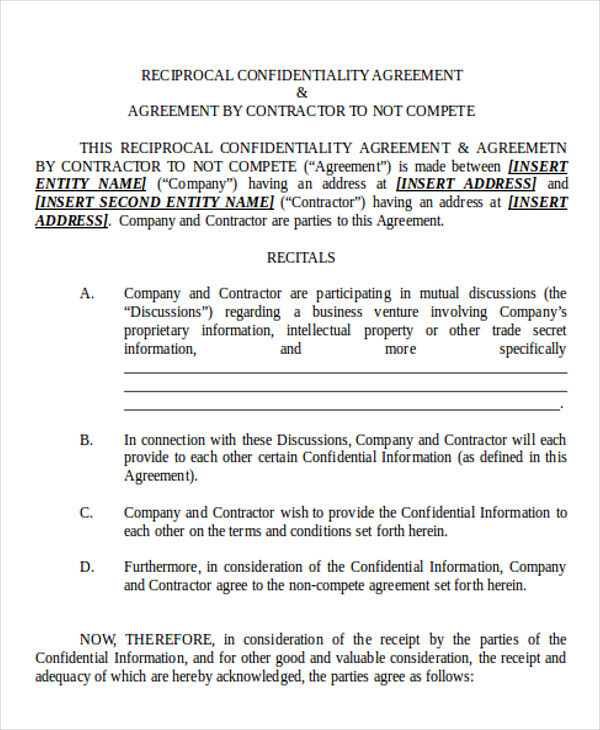 If you want to get out of a non-compete agreement, you can discuss matters with your employer and make sure that you get his/her consent to release you from the agreement. When employers act on the violation, they can sue the employee. Since violations against non-compete agreements are considered to cause potential harm against the company’s operations, the court may expedite the hearing. With this being said, you have to make sure that you are prepared to get an attorney as soon as possible.